Hanging out at the pool at the Airport Hilton in Liberia, we met 3 people so beautiful that they had to be flight attendants. And as they say, its not what you know, its who you know. The next day, Gary and I heard Lauren’s voice on the loud speaker as we stowed our bags on the plane. 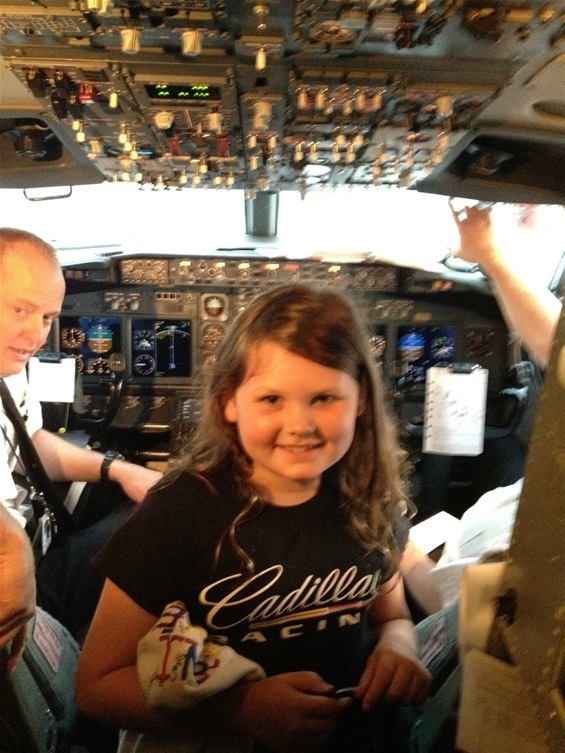 The captain had recruited her to do the “welcome aboard” announcement over the plane’s intercom. Morgan, Scott, and Taylor, the young and beautiful flight attendants, made sure we had plenty of snacks for the next leg of our trip. Scott even gave Lauren vintage style wings, not the sticky ones most airlines try to pass off on kids these days. Thanks, guys. You rock!